HUGO SWIRE (Conservative) Born 1959, London. Educated at Eton and St Andrews University. Former army officer and director of Sotheby`s. Contested Greenock and Inverclyde 1997. First elected as MP for East Devon in 2001. Shadow culture secretary 2005-2007. Minister of State for Northern Ireland 2010-2012. Minister of State at the Foreign Office since 2012. HUGO SWIRE (Conservative) See above. STUART MOLE (Liberal Democrat) Educated at St Johns School, Leatherhead and Nottingham University. Writer, researcher and former diplomat. Contested Chelmsford F1974, O1974, 1979, 1983, 1987 for the Liberal party. ANDREW CHAPMAN (UKIP) Born 1947, Wolverhampton. Educated at Denstone College and Goldsmiths College. Retired accountant. Surrey councillor 1985-1989 for the Liberal party. I hear the popular local Indy is standing here again. That could be why this MP didn’t look very happy in the House at the prospect of fighting another GE so soon. I’d assume he’ll hold but maybe the opposition Parties’ votes will coalesce around her and make it closer than the MP might like? As I commented prior to 2015 though – predicting the Indy’s advance – she’ll find it hard on the ground in such a seat to cover the sheer miles on foot to canvass and GOTV where she isn’t as well known as where she’s the very popular district and county Cllr. Incidentally what is the problem locals have with this MP – is he absentee, aloof or something worse? Looking at her literature I wonder why Claire Wright isn’t standing as a Green. From what I’ve read her popularity as a Cllr is based on her record of getting things done; but her shock huge vote at the last GE was as a result of East Devon Cllrs’ behaviour on planning issues coupled with Hugo Swire being disliked. Hugo Swire has refused to take part in any hustings here. Meanwhile Claire Wright has announced 12 locations across the seat where she’ll be speaking to residents. YouGov show this as “likely other”, so presumably their figures show Claire Wright to win. Yes, there does appear to be real momentum behind her judging from her Facebook page and photos of supporters and posters etc. At 6/1 her and Danczuk are the only Inds (on the mainland) that the bookies give an outside chance to. Not completely implausible Wright wins. But not sure on what basis YG can project this – they won’t have polled enough voters in Devon East. Their big 50,000 poll will have covered close to 100 from each constituency. That’s enough to give a decent indication, although not a reliable one. It is close enough to polling day to assume that in a two-horse race between the Government and an independent that there is unlikely to be a wild swing against the independent unless she is at the centre of something major. I personally think it more likely that this will be a Tory hold with a majority of less than 10% – noting that a Tory hold on a majority of up to 8% is within the lower and upper bounds of the balance between Wright and Swire. This does however appear to be the acid test of the wisdom of YouGov doing seat-by-seat projections. We on this site may understand margins of error, as I’m sure the majority of people would if they took the time to look. But the majority of people won’t. 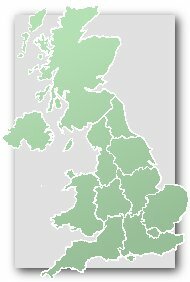 Assuming YouGov do one of these next week, people will see a seat projection that YouGov put out either next Wednesday or straight after polling closes (in the latter case it would be a rival to the exit poll and thus particularly high profile), and judge them on that in comparison to the actual result and to the exit poll. And it must be said that the last few exit polls have been pretty close. 2015 really wasn’t that far off, the problem being that when one party is close in either direction to 326 seats, a small difference massively changes people’s perceptions about the exit poll’s accuracy. Slight correction to previous post – a Tory hold of up to 10% would be within the bounds of YouGov’s predictions allowing for the margins of error they have set out – Squire on 44% and Wright on 34% are their high and low end estimates respectively. I haven’t read the detailed methodology, but I’m pretty sure YouGov are working on an extrapolation of trends among demographic groups and different regions rather than in effect publishing a series of constituency polls. Given that I don’t see how they can come up with what they have come up with in Devon East – it surely wouldn’t be possible to model Claire Wright’s support in any sensible way. Saying that isn’t to dismiss her chances, by the way. She did remarkably well for an independent starting from nowhere in 2015 and she could well build on that to get up above 30%. Though to win she probably needs a very bad Tory year, not one where, even now, they are still on course for their best vote share in decades. It’s machine learning Jack. The algorithms are smart enough to – without any manual meddling – detect where one factor is more important than others in the voting. This means that where the local trend is strong enough the model will make decisions based almost entirely on local trend, and largely discard demographics / national trends from its decision making. On the other hand in a mundane seat where their local sample doesn’t give much away, the wider trends will be weighted more heavily. At least that’s my understanding. Machine learning is a pretty big step up from regular weighting – it’s the same field that has enabled computers to storm ahead of the best human players of Go in the last two years. I think shortcomings in the method are more likely to be due to poor data than a poor algorithm. As for Claire Wright – it would be a remarkable achievement for a genuine independent to take a seat without any major scandal to weaken the incumbent. I have to say her website is very impressive and accounts of her “ground game” even more so. Definitely a result to watch for all of us; I for one would love to see more independents in parliament. She (the Ind) is 6/1 with Ladbrokes. That seems to be around the price they offer when they really don’t know what will happen in a seat. Ladbrokes keep suspending/removing North Down & Rochdale from their lists but the last I saw was that Lady Sylvia was odds-on and Danczuk was 5/1, so Claire Wright may well end up as the best ‘punt’ on offer to gamblers. Yougov model now showing IND 48 CON 34. If the result is anything close to that then Claire Wright will have taken significant numbers of votes directly from the Conservatives. I can see her being elected at the third attempt at the next GE. Well done to the few who voted in person here – apparently a mere 18 electors during the 15 hours at one polling station! – during drifting snow yesterday. Can’t be very often that a candidate wins a ward with just 187 votes. 28% of the vote on a 12% turnout – only 3.5% of the electorate. Liverpool Labour gained a seat from Labour (Melrose ward by-election in 1999) on a 6.9% Turnout. (lowest turnout, 3% of the electorate). Although a few have won wards in Liverpool with just 24% of the vote since in 3 other wards (on 20% turnouts so 5% of the electorate). Cons Cllr Brian Bailey has defected to Ind here. NB: Before commenting please make sure you are familiar with the Comments Policy. UKPollingReport is a site for non-partisan discussion of polls.